This environmentally friendly Guildhall Forever document wallet is made from 100% recycled, 300gsm manilla. 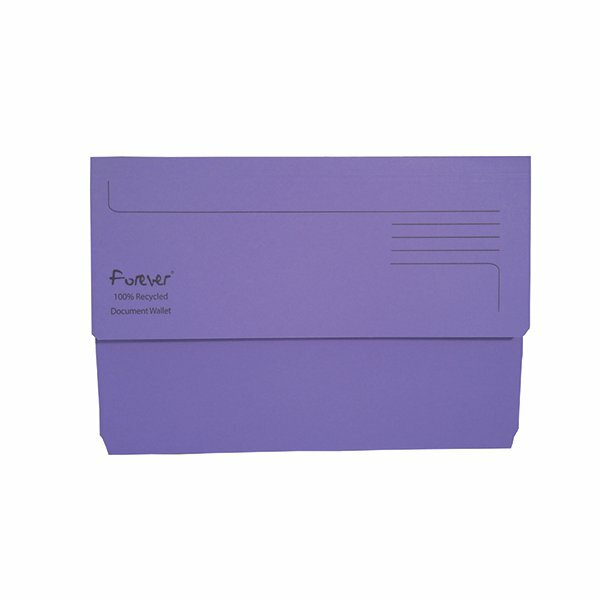 The folder features a 32mm gusset and can hold up to 180 sheets of A4 or foolscap paper. This pack contains 25 bright purple foolscap document wallets, ideal for colour coordinated filing.